American actress Mia Farrow is best known for her appearances in several critically-acclaimed horror and thriller movies of the 1960s and 1970s as well as for being Woody Allen’s muse and star of all of his films made during the time when the filmmaker was her romantic partner (1979-1982). Her personal life has made headlines on multiple occasions, starting with her surprising and short-lived marriage to Frank Sinatra, who was 30 years her senior and with whom she remained friends until his death in 1998, her second marriage to Academy and Grammy Awards-winning composer and conductor Andre Previn and culminating with her bittersweet affair ( and its infamous ending) with one of the world’s most prolific and accomplished filmmakers. Throughout her artistically rich, five-decade long acting career, Mia Farrow has starred in more than 50 films, earning several awards and nominations and in 1977 she became the first American actress to join the prestigious Royal Shakespeare Company. Born Maria de Lourdes Villiers Farrow on February 9th, 1945, she made her film debut at the early age of 14 with an uncredited appearance in her father’s 1959 epic film John Paul Jones, produced by Samuel Bronston. 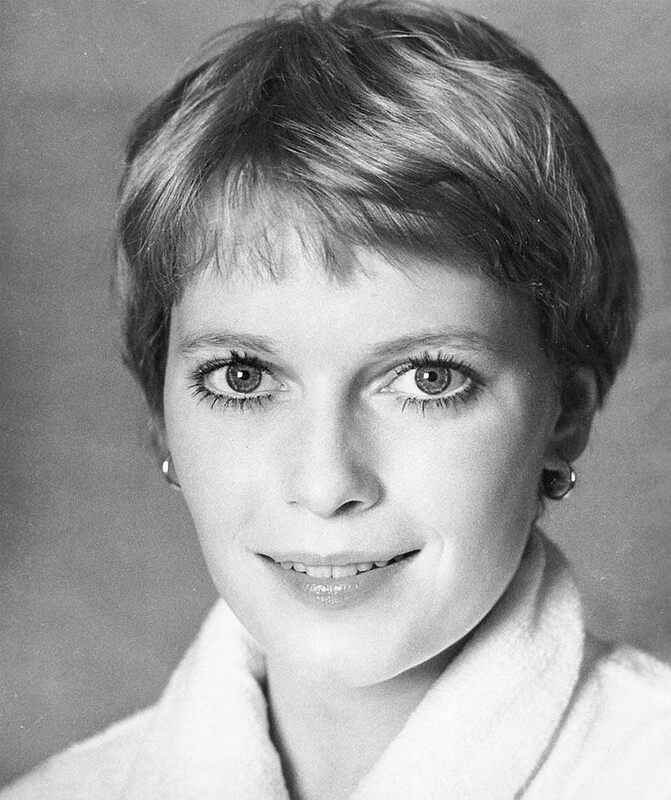 After portraying the character of Allison MacKenzie in the prime-time ABC soap opera Peyton Place (1964-1969) for two years, Mia Farrow returned to the big screen. Her successful TV role coupled with her overly publicized marriage to Frank Sinatra made Farrow a household name. Mia Farrow’s breakthrough role and, at the same time, her first leading role was Rosemary Woodhouse in the 1968 psychological horror/supernatural thriller Rosemary’s Baby, directed and written by Polish-born and French-naturalized film personality Roman Polanski. Along with critical praise for her wildly convincing and intense, exemplary performance came the extensive notoriety she had longed for since 1965, when she bluntly stated ”I could not stand being anonymous”. Rosemary’s Baby was Polanski’s first Hollywood feature film and it is based on Ira Levin’s best-selling and best-known novel of the same name, published in 1967. The script is a faithful adaptation of the novel, to which it stays true right to the smallest detail (allegedly Polanski was unaware at that time that he had the freedom to make changes). Rosemary and her husband, Guy, an aspiring actor (played by John Cassavetes) move into an apartment in The Bramford (the building in the movie is actually the Dakota in Manhattan, outside of which John Lennon was shot dead). The strange interest of their new neighbors, an eccentric and noisy older couple, Minnie (played by Ruth Gordon, which won the Academy Award for best supporting actress for her performance) and Roman (played by Sidney Blackmer) in Rosemary and especially her unborn baby gradually develops into pure evil. 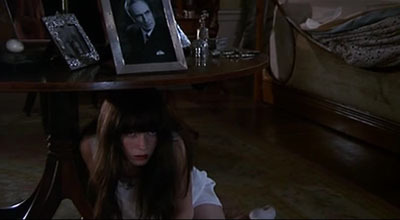 Mia Farrow as Cenci in Secret Ceremony. After the incredible success with Rosemary’s Baby, Mia Farrow was cast as Cenci in the 1968 drama Secret Ceremony, co-starring Elizabeth Taylor and Robert Mitchum. The critical reception of the movie was mixed, but her performance was applauded and earned her a BAFTA award for best actress nomination. Her next film, the 1969 romantic drama John and Mary, directed by Peter Yates and co-starring Dustin Hoffman won her yet another BAFTA nomination. Mia Farrow’s next project was the leading female part in Jack Clayton’s 1974 glorious film adaptation of F. Scott Fitzgerald 's 1925 literary masterpiece The Great Gatsby. The movie was celebrated by Tennessee Williams (in his ”Memoirs”) who considered it ”a film that even surpassed the novel”. The screenplay was written by Francis Ford Coppola. Mia Farrow’s searing portrayal of the beautiful and seemingly enigmatic, two-faced Daisy Buchanan, Gatsby’s lifelong romantic obsession was unanimously acclaimed by film critics. The critical reception of the film was mixed, the negative reviews criticizing the film’s lack of emotion in its depiction of the Roaring Twenties. Because she was pregnant during shooting of the film, John Clayton filmed the actress in tight close-ups, while wearing white drapey dresses with floral motifs. 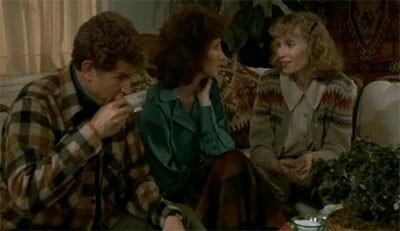 Mia Farrow to the right as Hannah in Hannah and her Sisters. The best Allen movies starring Farrow include the 1983 mockumentary Zelig, the 1984 critically-acclaimed black-and-white comedy Broadway Danny Rose (Farrow’s memorable performance as Tina Vitale, considered by film critic Roger Ebert ”the real treasure” earned her a Golden Globe nomination), the 1985 romantic comedy-fantasy The Purple Rose of Cairo ( Farrow received yet another Golden Globe nomination for her remarkable portrayal of Cecilia), the 1986 comedy-drama Hannah and Her Sisters and the 1990 romantic fantasy Alice. Mia Farrow’s generosity of spirit in her relation with the audience transcends the screen into real life. She relentlessly devotes her time and energy to humanitarian activities, mostly in African countries, as a human rights activist and UNICEF Goodwill Ambassador. She is the mother of 15 children, 11 adopted and 4 biological ( 3 with her second husband Andre Previn and Ronan Farrow, born in 1987 with either Woody Allen or Frank Sinatra, with whom she has ”never really split up”, according to a 2013 interview); two of her children are deceased. Professionally, the actress is still active, appearing mostly in Broadway productions. 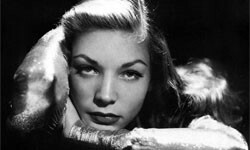 Lauren Bacall was nicknamed ”The Look” for her signature chin down, eyes up to the camera image. 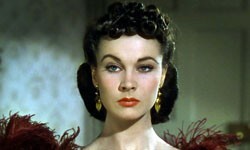 Vivien Leigh is known for her ravishing beauty and innate theatrical sense and ludic yet effervescent personality with her characteristic illness-derived mood swings.